WP Admin UI PRO is required. You can go PRO here. 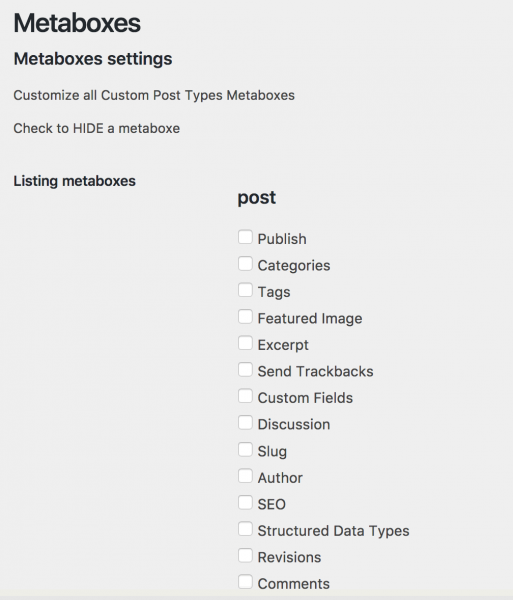 To hide from WordPress, a metabox, go to WP Admin UI, Metaboxes. You must first generate a list of all the metaboxes present on your site. To do this, click the Refresh button. Wait a few moments to see the list of metaboxes sorted by custom post types. To hide a metabox, simply check its associated box. Don’t forget to click Save changes.